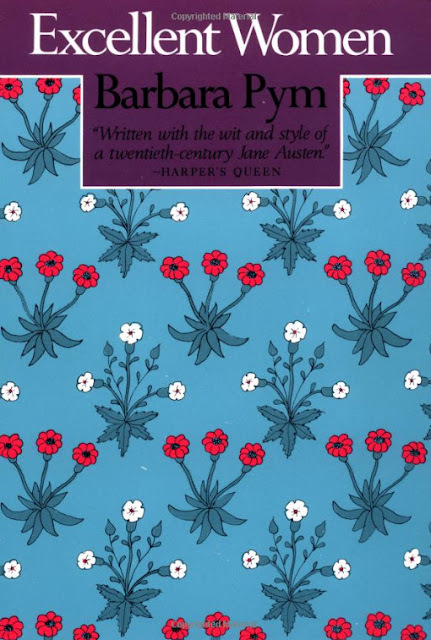 Recently, I began rereading Barbara Pym's novels. I have them all, but I was only going to read the one, The Sweet Dove Died, but Pym's fiction is addictive, and I'm now a good way through Excellent Women. 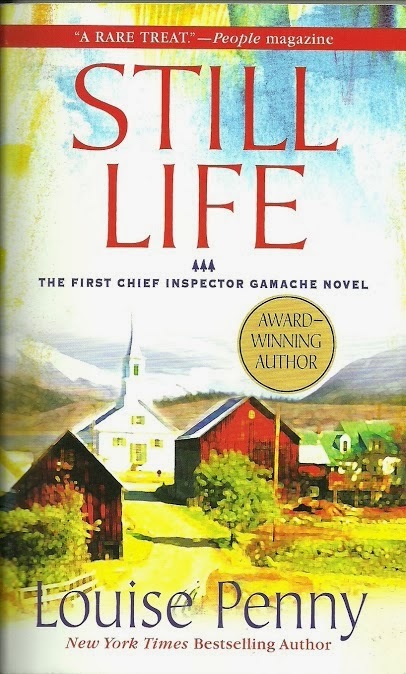 Before the Pym binge is over, I will have gone through all the novels again for probably the third reading. I Googled around to see what I'd find online before writing this post . On my second click I struck gold, pure gold at the Guardian - an article on Excellent Women, the very book I'm reading now, that links Pym to Jane Austen. I'd already made the connection a long time ago, when I first began to read Pym. Like Jane Austen, Pym painted her pictures on a small square of ivory, and covered much the same territory as did her better-known predecessor: the details of smallish lives led to places that could only be in England. Neither used a megaphone; neither said much about the great issues of their time. It is these asides, I think, that make Excellent Women so beguiling. Oh, but one does laugh out loud, repeatedly, even in a semi-public place. As I sat in a waiting room passing the time reading EW, I laughed out loud. Fortunately, I was alone in the room, but I wondered whether the receptionist behind the glass heard me. Mildred Lathbury, the first-person narrator, is having lunch with Everard Bone, an anthropologist, who had just returned from an archaeological tour holiday visiting caves in the Dordogne. 'There are stone circles in Brittany, aren't there?' I began, trying to show intelligent interest. 'And then of course there's always Stonehenge.' I remembered that my father had been interested in Stonehenge, and I seemed to see us all sitting round the dinner-table, my mother, father, a curate - I could not remember which curate - and a canon and his wife. We were having a conversation about Stonehenge and suddenly all the lights had gone out. The curate let out a cry of alarm but the canon's voice went on without a tremor - I could hear it now - just as if nothing had happened. My mother got up and fussed with candles and the canon went on explaining his theory of how the great stones had been carried to Salisbury Plain. It was an impressive performance and had been rewarded, or so it seemed to me, by a bishopric not long afterwards. Thinking about it after all these years, I smiled. 'Yes, there's always Stonehenge,' said Everard rather stiffly. Mildred reminds me of myself in the way her mind drifts from the present moment to a time past and then responds to the memory with some sign, such as a smile, before drifting back to the present. Oh no. I was somewhere else. I look forward to my binge. I'd forgotten what a delight it is to read Barbara Pym. Most of her novels are available at Amazon, and Excellent Women is on Kindle.